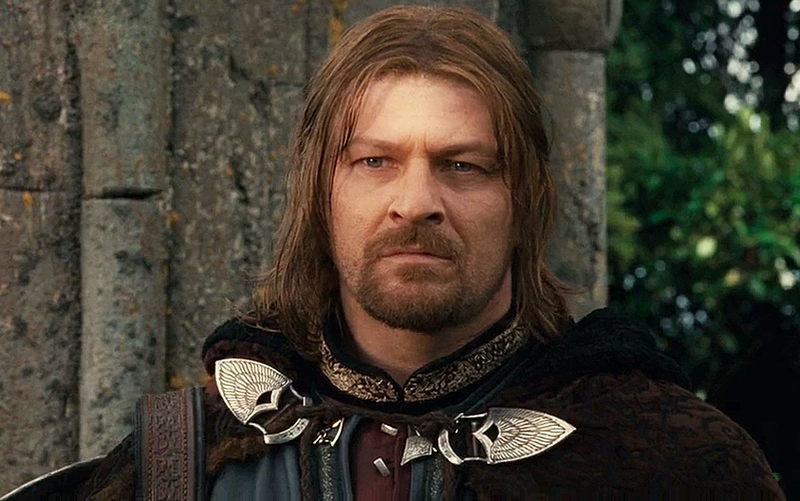 Sean Bean – a very fine actor indeed! Orlando Bloom – another very fine actor! John Rhys-Davies – a fine actor! David Wenham – he’s not in the Fellowship but he’s a very fine actor! Viggo Mortensen – a very, very, very fine actor indeed! Oh yes! Very fine!! Indeed!! There! That should prove once and for all that I’m completely unbiased! But you’re true to your word, there are pictures of female actors on your blog today. But FEF! There’s no orcs!! What about gollum? Or the blackrider fellows? Goodness. You put up all the ugly ones. I’m trying to decide who from this list I’m most like. 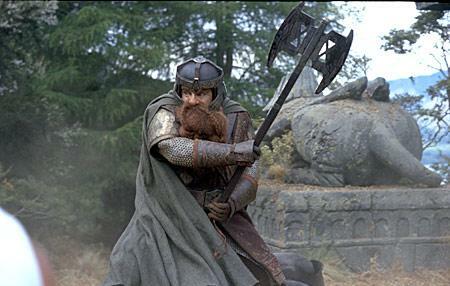 Probably Gimli. 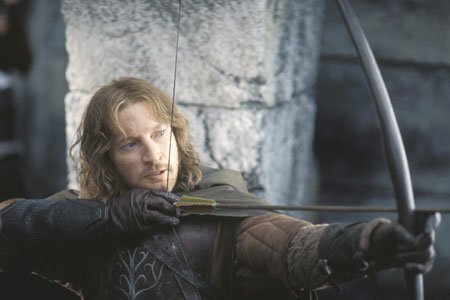 But I’d want to be Faramir. What PJJ said. And she left Shelob, too. And there is no mention of the Great Eagles. And the Nazgul. And Bill the Pony. Alas. True – Shelob should have been in there along with the other women! But you’ve got Viggo – what more could a girl need? I tried to find a way to get Darby in, but it just couldn’t be done! I’m sorry – I know you’ll have missed him! 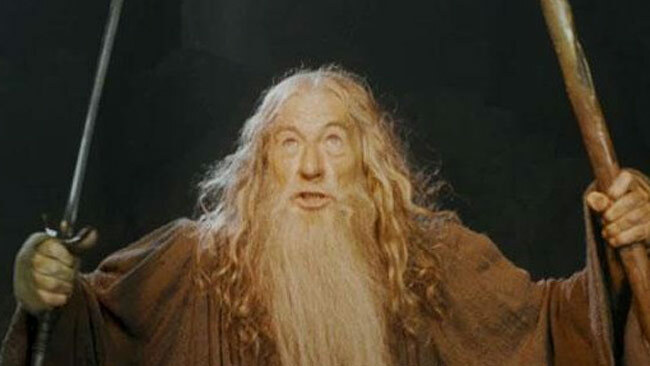 *gasps* Don’t you call my Aragorn ugly, you dadblamed orc, you! *laughs* Wasn’t it kind of me not to mention poor Arwen’s similarity to her dad? One day I shall do a post of beautiful women just for you! Who would you want on it? Your Aragorn? But he’s involved with that Elf thingy. You know, Steve’s daughter. 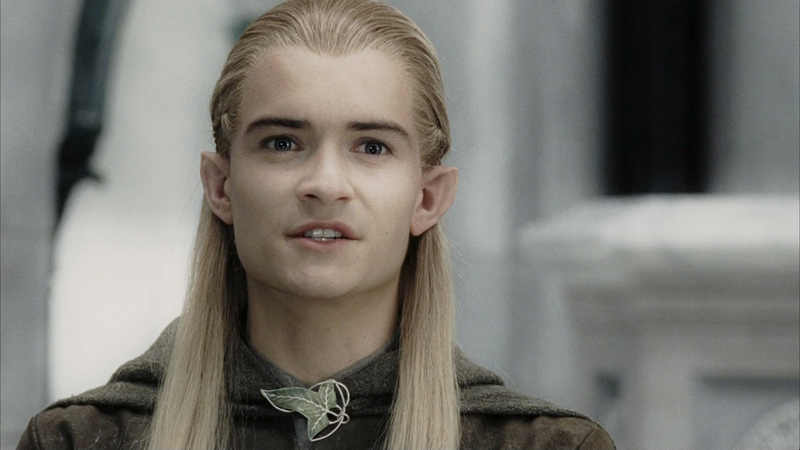 I wonder if I could beat him in a sword fight… I’m surprised you don’t like Legolas better. Maybe Sauron! Or…gollum. I could be gollum. It was very kind! Beautiful women…that’s a hard one. I can’t think of any actresses at the minute. I know you’d want to put on that one with those eyes…but I’m not sure! Maybe Gene Arthur? But I can’t remember what she looks like, the sudden. I might let you do Rafa. Well, the plan is that Eowyn shall challenge Arwen to a duel over him – when she wins, Aragorn will throw her in a deep, dark dungeon. That gets rid of both of them, and just at that moment I’ll appear in my tartan ballgown… *sighs happily* You could, I’m sure… but then you’d have to face my wrath and peashooter! Legolas is such a show-off, don’t you think? Running up the elephant’s trunk… pah! *nods enthusiastically* Yes! Gollum never has stubble! *gasps* How dare you!! I might put Kenny in though – though would there be room for his hair…? Now, is this a plan you and Aragorn made together? He might not toss her in a dungeon, see. And you’ll want to dance the cotillion with me, I suppose? When you appear in your ballgown, that is. I love that sceneeeeeeeeee! I wish I could do that. Imagine! That was really cool. In fact, I think he’s quite bald and gray. He’s got gray skin! Poor Kenny. Maybe…Sandra Bullock, I like her. Though, she’s a bit weird looking. No, that’s the joy of it! He’d actually be helping get rid of one of my rivals without even knowing! *laughs fiendishly* Well, I’m not sure if I will… you always seem so reluctant that I may have to find another dancing partner, I fear. But you can bring Freya and we’ll make up a foursome. I bet you could do that, but when do you get the chance? It’s so unfair – your town should get some elephants just for you! He’d probably find the guitar playing tricky (or tricksy, maybe) with those fingers too. *laughs lots* You’ve been slacking off on your paying-girls-compliments practice again, haven’t you? I just googled Aragorn. He looks cooler than he did in the movie! Note to self: Must get red tie. Oh, Freya hates dancing, though. She’d much rather…play ball! How about ball instead? I could steal some elephants from the zoo! Haha, he sure would. I would teach him, though, just to be nice. I must be honest: haven’t practiced it much at all! Well, actresses don’t have to be gorgeous! You must admit, she’s a bit strange looking. 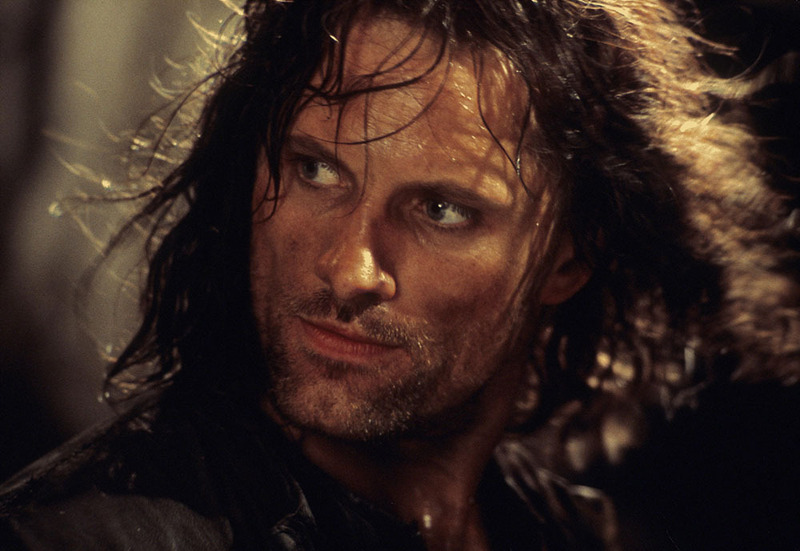 Ooh, no, I think his Aragorn look is much better than his Viggo look to be honest! Red ties are great – that’s what socialists wear in Britain! You should definitely get one! *laughs* Look, just because it’s called a ballgown doesn’t make me a nose tackle!! How would you sneak them out though? You’d have to disguise them. You could stick six false legs on them and pretend they’re calots. I suppose he’d be better at it than Nine-Fingered Frodo. *laughs* I could tell! I know what you mean, but actually I think she’s stonkingly gorgeous – I prefer that kind of individual beauty to all the pretty, pretty people who all look the same. You do? He looks like a mess as Aragorn and he’s got long hair! Do they? *laughs* I’ll…wear a white one instead! Yes, but they’d probably want to keep a calot! No, we must think up a new plan, I fear. Stonkingly! That word is so funny. Unless you meant strikingly? The other ones all look like barbie dolls, it’s true. I’ll keep that in mind. Capital word. Is that what they do? They shouldn’t! *laughs* You’ve got elephants. What a wonder. I should come and ride one. In all seriousness, this trilogy of films is extremely well done, I think. And I thought it was brilliant to film them all close together, rather than wait perhaps years to do them. I think it’s brilliant – every time I re-watch it I’m stunned all over again by how great it is. Especially the battle scenes – they’re so well done. I used to be able to watch it as a nine-hour marathon, but I find I need to do it in installments over a few nights now. I was shocked beyond belief that they didn’t make more use of his extremely fine acting skills, to be honest – a glaring cinematic oversight in my view. And quite right about Darcy and Rafa. I am going to write a film ‘Fine Actors Swim And Fight A Bit With Sportsmen’. A box office hit in the making. How very kind of you, FF! The job is yours. Not that there will be much need for wardrobe, of course 😉 But there should be someone to carefully oversee that side of things nonetheless. Viggo is THE finest. Actor that is . . . Very, very, very fine, indeed. It has nothing to do with his strong jaw, intense eyes and dreamy overall demeanor. Nothing! Well, I must say, FF, this is a delight! What lovely photos you’ve gathered, and I for one am mightily glad I don’t have to look at that skinny, nasty Gollum! You know, the U.S. Open is right around the corner — perhaps we can have some tennis hunk photos?? You know, just sayin’. Most definitely!! And, if the shorts thing is too much, how about some of those very handsome young golfers — Jordan, Justin, Rory???! The ladies wear shorts; the men nearly always wear slacks. Their caddies wear shorts though! 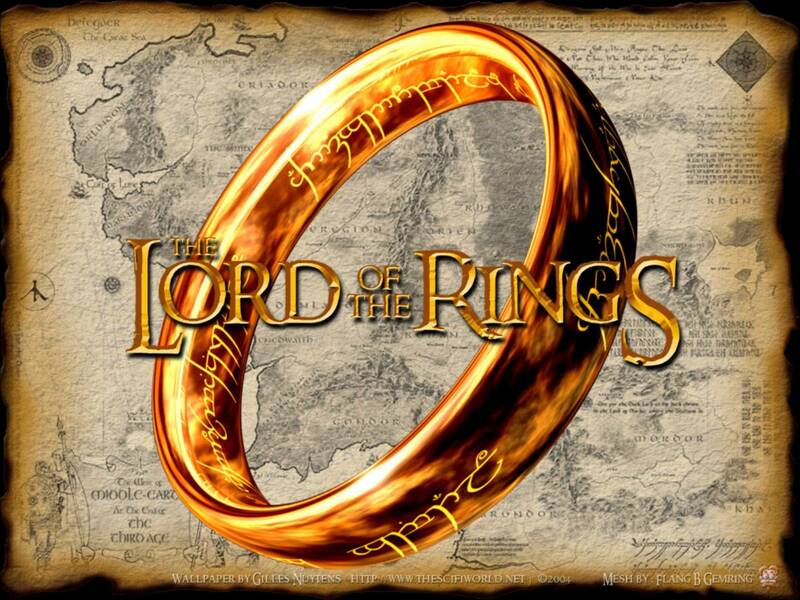 I don’t have to see the movie to know that Aragorn is fabulous. A fabulous actor? Maybe. What’s this about everyone wearing wigs?! I’m wigging out! I think the men that appear to have crept into this post dedicated to women have put the wrong clothes on – Shouldn’t they be wearing their itsy bitsy shorts? Having said that I’m impressed that you have taken such important steps to redress the apparent bias although I think my laptop has gone wrong as the women seemed incredibly small?? Now you musn’t be greedy FF – you can have all the hobbits, Ian McKellan, and even Sean, and leave Viggo for the rest of us to fight over. I wonder if he likes cold baths? Tut! You’re so shallow! It’s people like you that start these rumours about my blog being biased towards the more yummy end of the spectrum! Not one word about those prominently placed pictures of gorgeous talented women – I’m ashamed of you!! And get your grubby paws off Viggo – he’s mine!! !